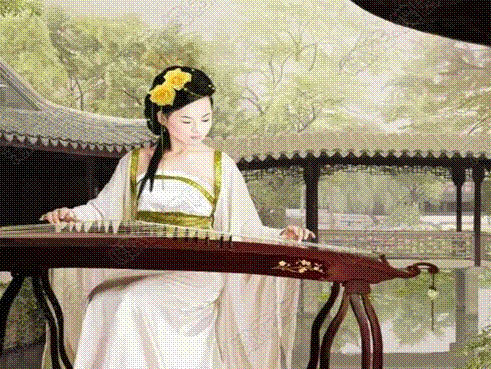 The Guzheng, and the Guqin, are both descended from the ancient Chinese “Se”, the archetype of all Asian zithers. The instrument spread throughout Asia, carrying it’s pentatonic scale and wobbly vibrato wherever it went. More than the 2000 years old, the Guzheng and it’s relatives have undergone constant modification in terms of construction and number of strings. One of the main differences between the Guzheng and the Guqin is that Guzheng, like most other Asian zithers, has movable bridges. This allows the player to create the characteristic vibrato by plucking the string with one hand and pressing on the same string but on the other side of the bridge thereby bending the pitch of the note. 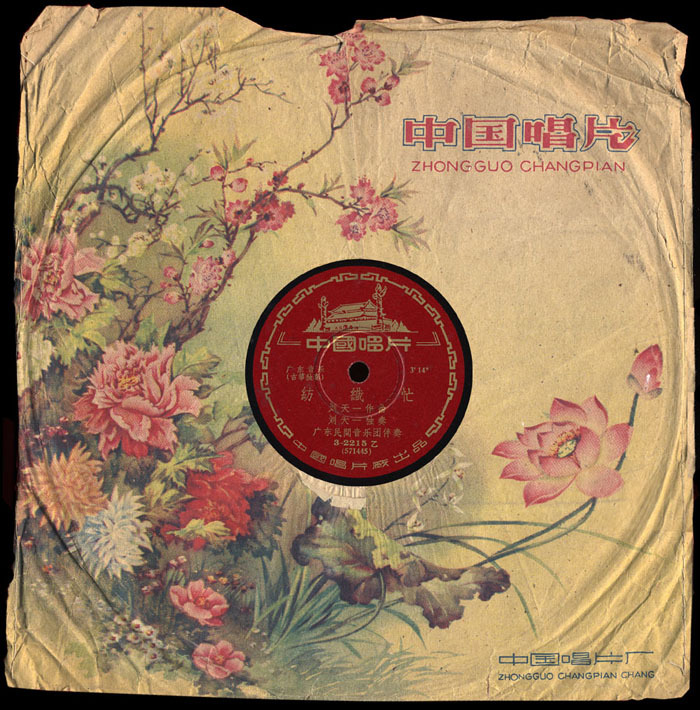 Here’s a Guzheng piece on the Zhonggou Changpian label, probably from the 1940’s. 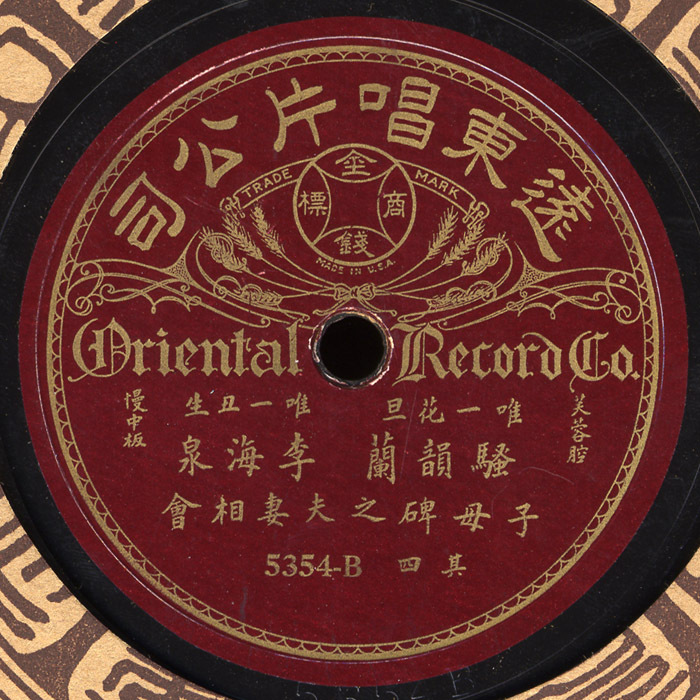 This label featured a wide array of Chinese music styles, from Folk to Classical to Opera. 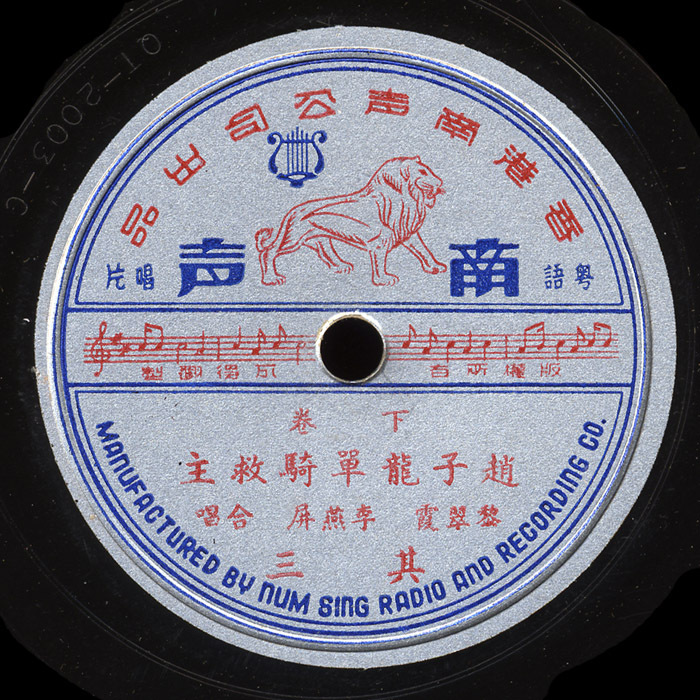 Interestingly, this label, and the related Art Tune, seem to have been the first to seriously record Chinese music other than opera. The labels I’ve been featuring so far recorded Opera almost exclusively. Even so, I’ve heard very few Guzheng solos on 78 rpm. This one is titled “Fang Zhi Mang” (Busy with Weaving) and was the only Guzheng piece by composer Liu Tian-Yi, a Cantonese composer and Gaohu player. Here he is playing his own composition. Special thanks to Bei Bei He, a GuZheng player and teacher in southern California (www.beibeizheng.com) and Hong Wang for their help translating and information about Liu Tian-Yi. The 42000-43000 Victor series contains some of the most incredible Chinese music ever recorded. 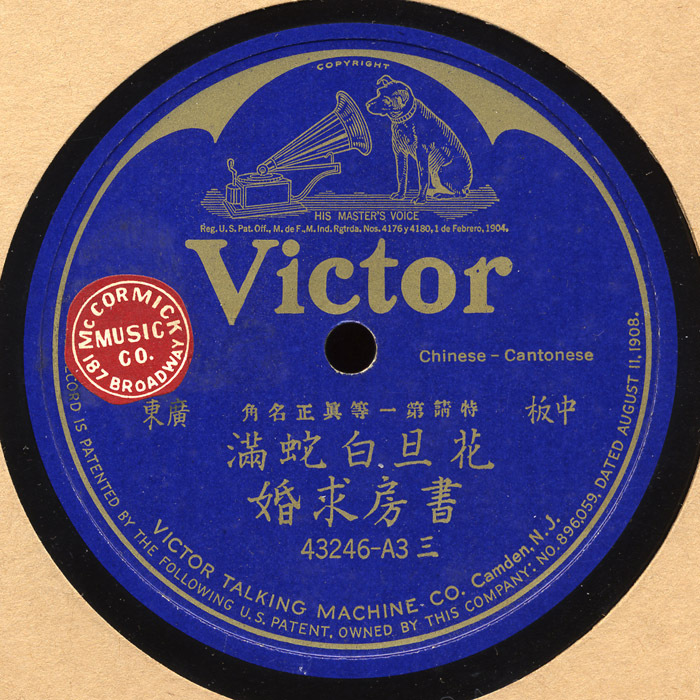 Predominately Cantonese, many of these recordings are reissues from the one sided 8000 series which were recorded in New York City and San Francisco as early as 1902. Because these were sold in the United States they are easier to find here, sometimes in great condition as leftover store stock. This one has the classic Cantonese fiddle-banjo sound, that is, gaohu-sanxian sound. A beautiful recording featuring the end blown Chinese flute called Xiao, reminiscent of Vietnamese and other Southeast Asian flute music. 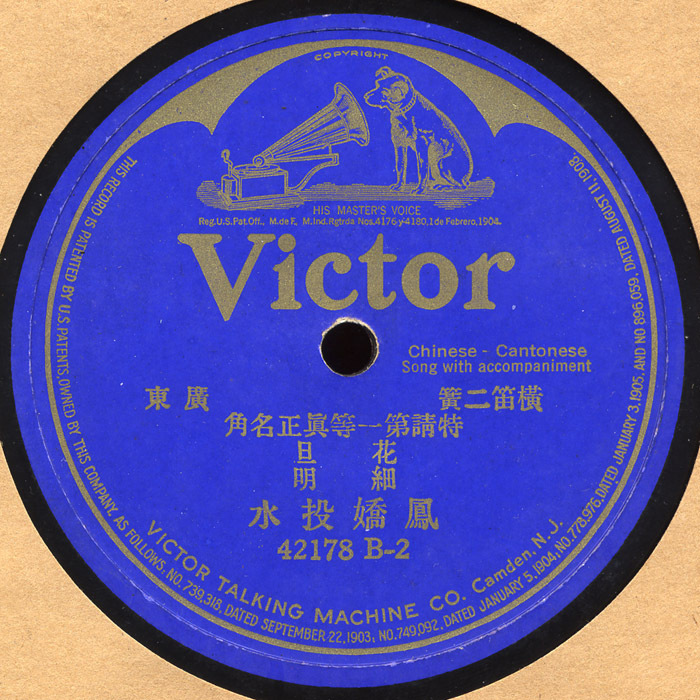 Here’s another classic sounding Cantonese recording from the early 20th Century. This is a good example of the typical record from this Victor series. I had decided not to post this recording because it’s pretty scratchy, but because it’s one of my all time favorite Victor records and I because you must be an intrepid bunch of music lovers to be here in the first place, I figured what the hell. Enjoy. 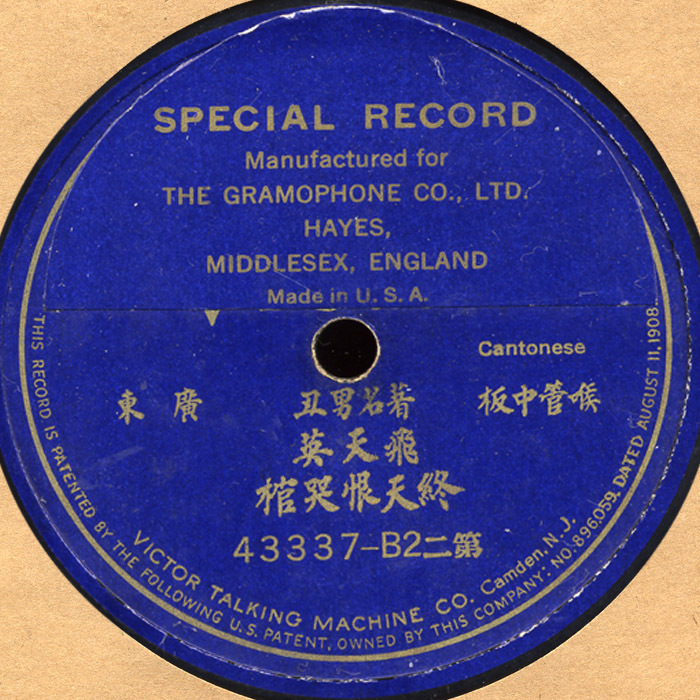 I’m always amazed at how cacophonous these Chinese records can be and here’s a perfect example. 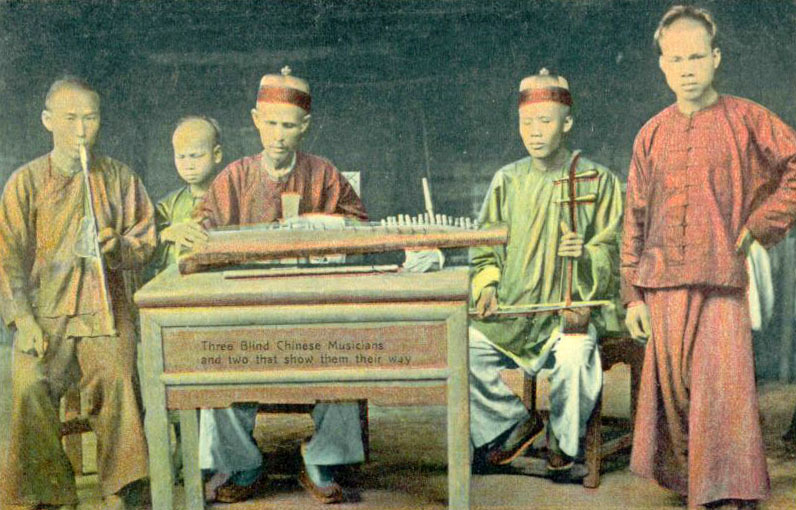 A Cantonese instrumental played on the suona. The suona is a type of shawm that originated in Northern China and eventually spread across China for use in military, wedding, folk and opera music. It’s similar to the Turkish zurna and the Indian shennai, among others. After World War II, local entrepreneurs around the world started setting up their own record companies. 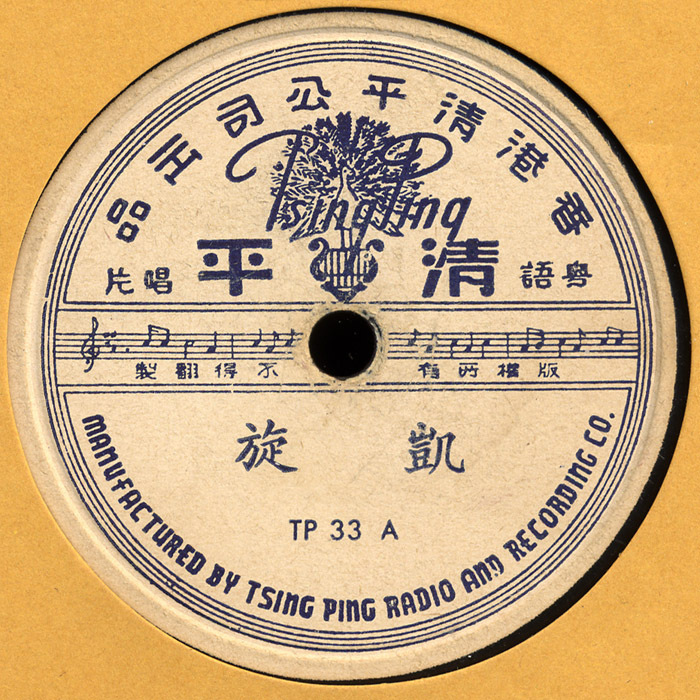 Tsing Ping is one of the many Chinese-owned labels that emerged in this period, many of which were based in Chinese immigrant communities throughout Southeast Asia. Tsing Ping and Num Sing (see below) were based in San Francisco. Welcome to any visitors from Excavated Shellac! Have a look around, I’m sure you’ll find something you haven’t heard before! 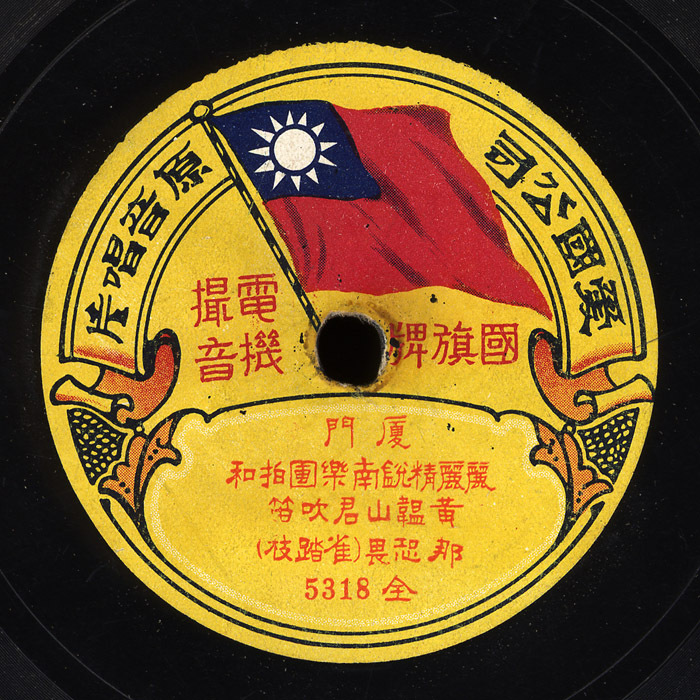 I’ve already posted something from Oriental Records and quite a few Cantonese records, but I just couldn’t resist sharing this recent find. Otherworldly! (see COMMENTS for title/performer translations). First up is a record on the Num Sing label, This one is for fans of chaotic percussion and players of trash can lids! The title is roughly General Zhao Tzi Lung, on Horseback, Saves his Master. Thanks to Patrick for adding these details via the comments section. 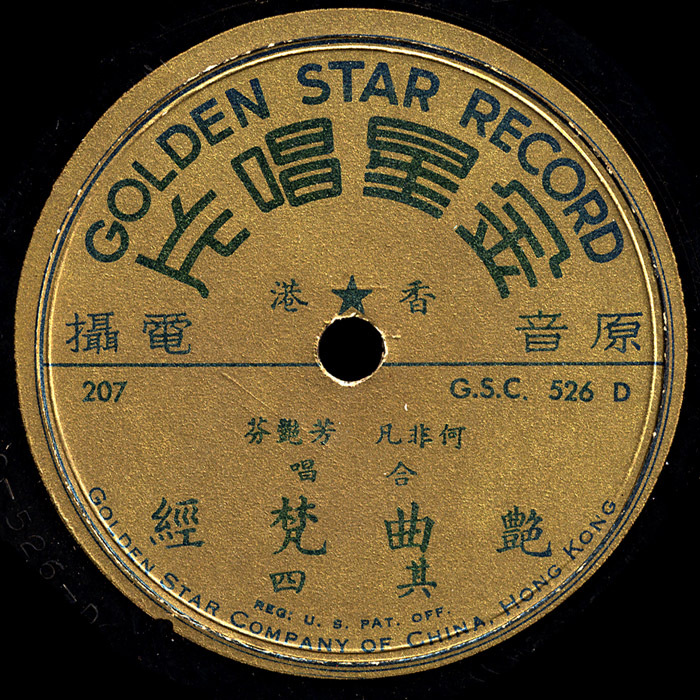 Here’s another one I’ve never seen before….Golden Star Records from Hong Kong. 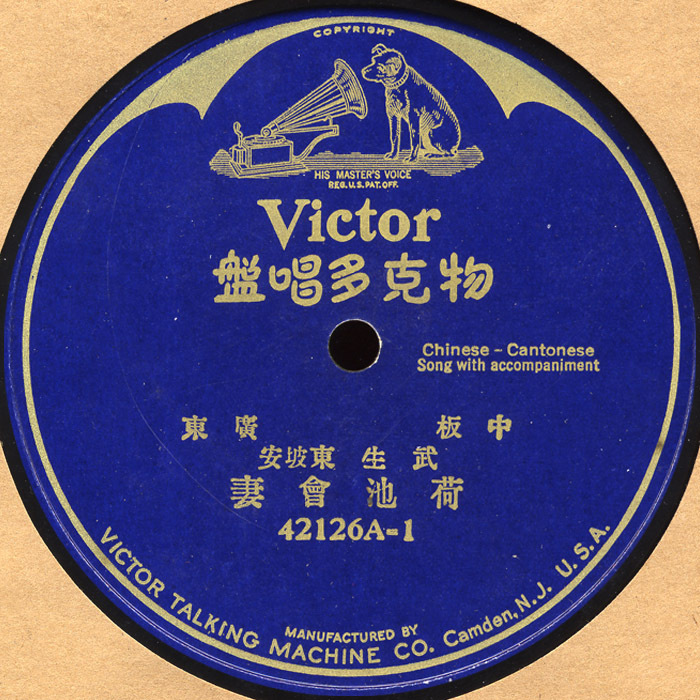 This Cantonese record is most likely from the 1940’s or early 1950’s. 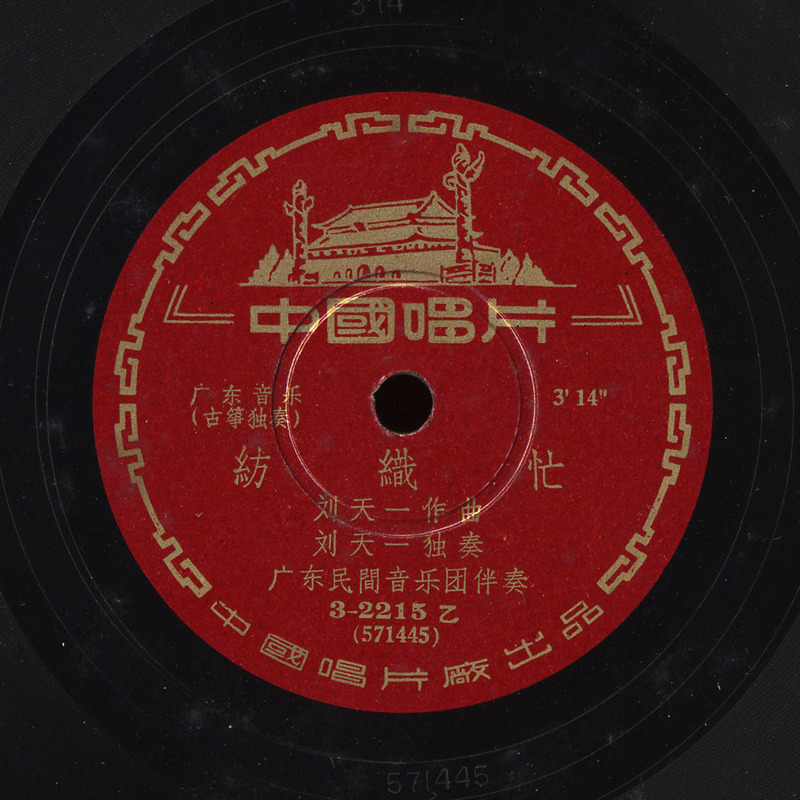 It’s interesting to compare the way the Cantonese musical style has changed from the earlier records I’ve posted…listen to the Beka, Columbia dragon, Hindenburg, etc. Amoy is in the Southeastern province of Fujian, across the strait from Taiwan. The language and culture are closely related to that of Taiwan. Here’s an Amoy Opera instrumental on a label I’ve never seen before. The name of the label translates as something like “Country Love Company”, or maybe more accurately “Patriotsim”, as one commentor has noted below . The music sounds very much like Taiwanese Opera (coming soon in a future post).